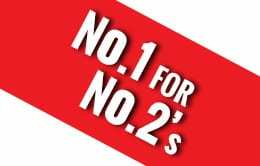 Blocked drains can be a real nuisance but if they are dealt with quickly they are relatively easy to fix and can prevent more serious and more costly issues later on – If you are experiencing a blocked drain let Steve Hastings Drainage fix your blockage for just £20 – we can quickly unblock your drain with the minimum of fuss. Typically blocked drains are caused by leaves and tree roots externally and by grease, paper and other solid items internally – over time even the most innocent of materials can case a blockage and lead to overflows, foul smells and flooding. 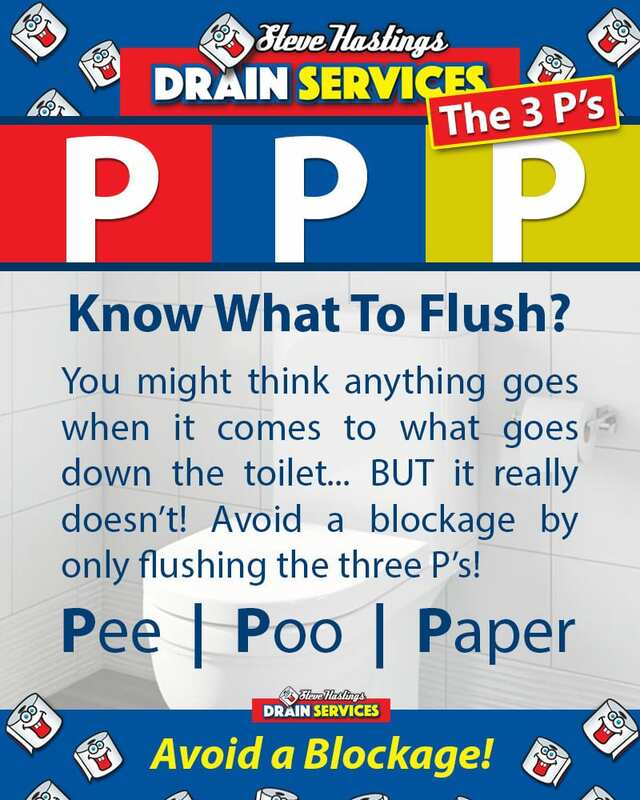 To avoid blocked drains, be careful what you flush down the toilet! Tissues, sanitary towels, nappies, wipes, hair grips etc can all collect hair and clog up your drains. Avoid flushing these items down the toilet and dispose of them in the bin instead. Bathroom pipes are often very narrow and therefore it doesn’t take much to cause a blockage and for your toilet to overflow. In the kitchen, drain blockages are often due to the waste we wash down the sink. When washing up be careful how much waste food goes into the drain, always use plenty of washing up liquid to break down grease and never pour hot fat directly down the plug hole. We would advise allowing the fat to cool and solidify and then throwing it into the bin – Fat, oil and grease are the number one culprit for blocked kitchen pipes and drains we see. Outdoors, always try to keep the drains free from leaves, foliage or any other garden waste which could be washed into the drain and cause an obstruction. Sweeping your garden regularly and using a compost heap for leaves is one way of preventing these drains from becoming blocked. If blocked drains become a problem, you may need to get a professional drainage engineer out to pinpoint the cause and alleviate the blockage. There are certain techniques a drainage expert will use, including using CCTV to look at awkward and hard to reach drains to see what has blocked the flow of water.